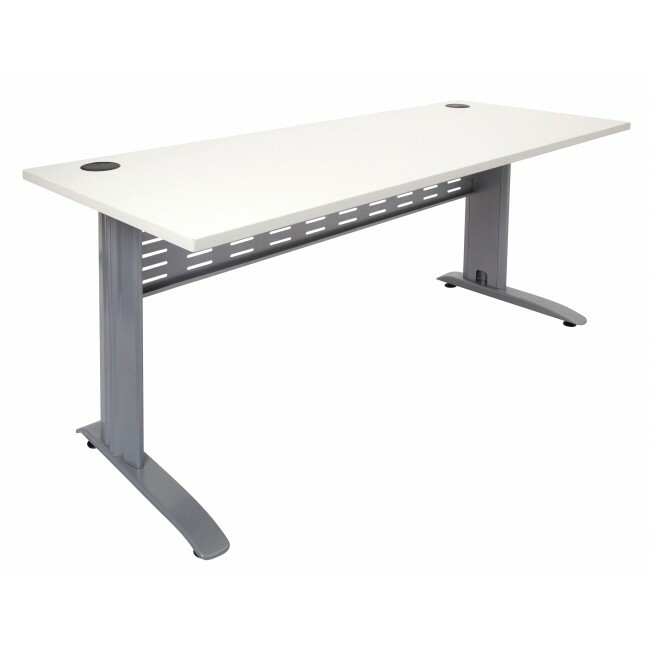 Elegant desk with plenty of space for laptop and desktop with accessories. 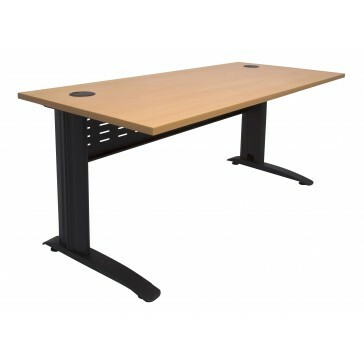 The table has one piece 25 mm thick table top with robust metal leg construction and modesty perforated metal panel.The table top has cable port holes and comes in different colours to suit. This is backed up by a 3 Years Warranty.